The award-winning Belfast Operatic Company are taking to the stage of the Mac for an evening of musical movie magic, celebrating the music from the hit film The Greatest Showman, as well as iconic movie musicals such as Moulin Rouge, Bohemian Rhapsody, La La Land, and TV Series Smash. 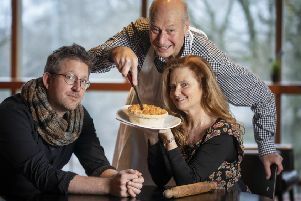 Actress Julie Mullins, known to fans of the hit Aussie soap Neighbours as Julie Martin, will star in the latest production from Lyric Theatre and Northern Ireland Opera - Stephen Sondheim’s Sweeney Todd: The Demon Barber of Fleet Street. 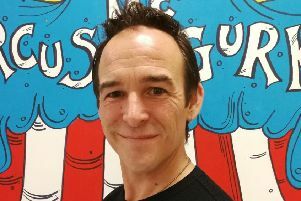 One of Ireland’s greatest living playwrights, Thomas Kilroy, has attended rehearsals at the Lyric Theatre for a new co-production of his play, Double Cross, which runs at the theatre until October 27. 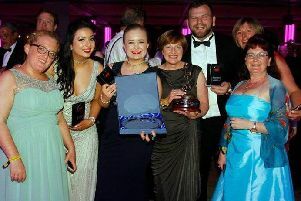 Banbridge Musical Society have been entertaining local audiences for 74 years through award-winning shows but now there are fears over the future of the company and they are urgently appealing for the local community to show their support. 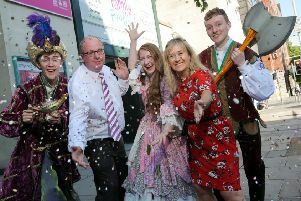 The sun is shining and the schools are out, so why not head over to the Grand Opera House this week for its fabulous Family Festival, sponsored by ISL Waste Management? 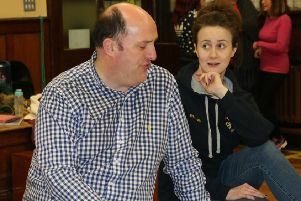 Banbridge Musical Society are busy now with the final days of rehearsal their upcoming production of Andrew Lloyd Webber’s acclaimed musical, Evita, which runs at the IMC Cinema, Banbridge from April 17-21. 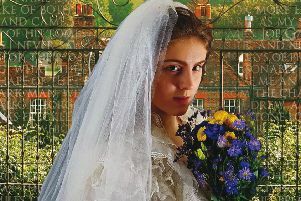 Banbridge Musical Society are busy now with the final weeks of rehearsal their upcoming production of Andrew Lloyd Webber’s acclaimed musical, Evita, which runs at the IMC Cinema, Banbridge from April 17-21. 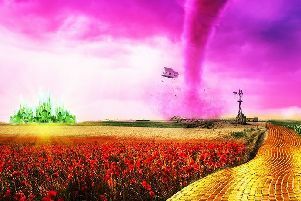 Follow the Yellow Brick Road to Belfast’s Grand Opera House where auditions are taking place for The Wizard of Oz, the Theatre’s Summer Youth Project. 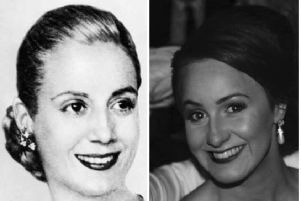 “So did you hear the story of the Johnstone twins? 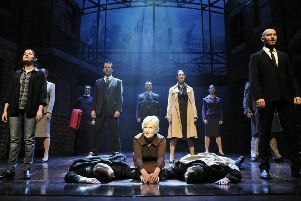 As like each other as two new pins.” And so begins the rollercoaster of emotion that is the smash hit musical Blood Brothers, which is making a welcome return to the Grand Opera House. 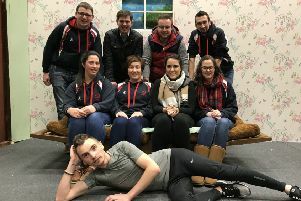 After a break of six years, Rathfriland Young Farmers’ Club are delighted to announce the return of a three act play to the stage. 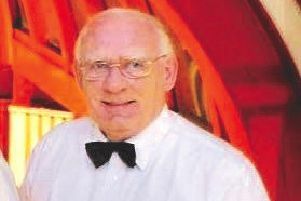 Last Summer, Banbridge Musical Society were saddened by the death of their much loved President, Colin Porter. Singers from across Northern Ireland will be coming together next week for a very special musical showcase at Theatre at the Mill in Newtownabbey on January 13. 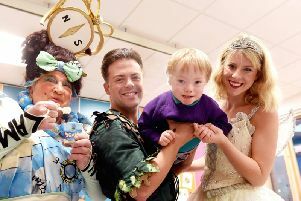 The children at the Mencap Centre in Belfast were treated to a ‘flying visit’ from the cast of Peter Pan this week. 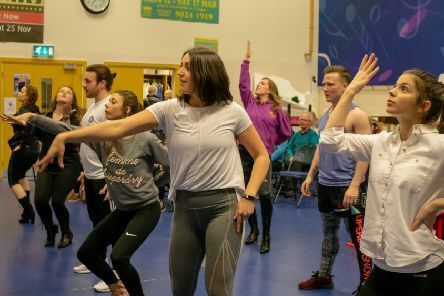 Banbridge Musical Society are busy putting the final touches to their upcoming production of ‘Seussical the Musical’ which runs at the IMC Cinema in Banbridge from November 15-20. 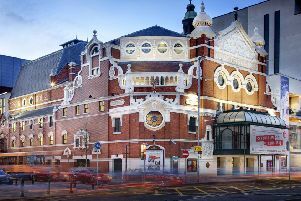 Over the next three months Belfast’s Grand Opera House will be enveloped in scaffolding while the brickwork of the exterior is cleaned, and the iconic masonry repainted. 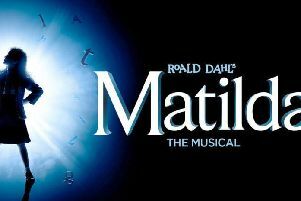 Throughout this time the Theatre will remain open and continue to welcome audience members as normal. 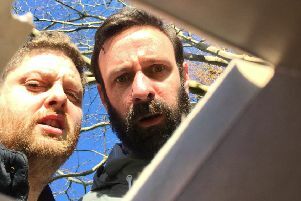 Lovers of great theatre and the great outdoors are in for a treat when Chapterhouse Threatre Company return to Solitude Park, Banbridge this month. 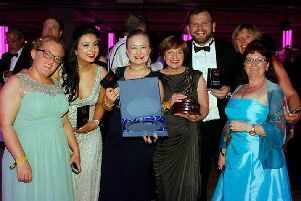 Banbridge Musical Society has plenty to celebrate after notching up four prizes at the AIMS (Association of Irish Musical Societies) annual Awards Gala in Killarney. 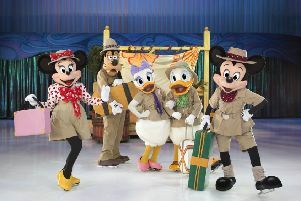 Join A globetrotting tour Of Disney destinations when Disney On Ice presents Passport To Adventure in Belfast this November. 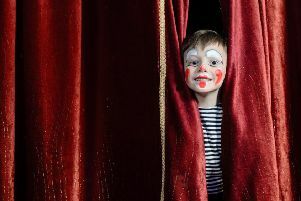 The Grand Opera House has announced details of its first ever Family Festival which runs from Tuesday 4 to Thursday July 6.